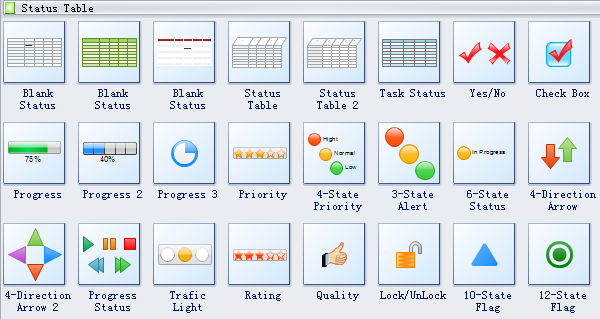 Pre-drawn status table symbols represent blank status, status table, task status, check box, progress, priority, 4-state priority, 3-state alert, 6-state status and more help create accurate diagrams and documentation. Status table, as its name indicates, is a table used to record the status of some process. Task status defines current state of the task, such as In Progress, Approved, or Rejected. Traffic light is a set of automatically operated colored lights, typically red, amber, and green, for controlling traffic at road junctions, pedestrian crossings, and roundabouts. Rating is a classification or ranking of someone or something based on a comparative assessment of their quality, standard, or performance. Every task has a task status that defines its current state. 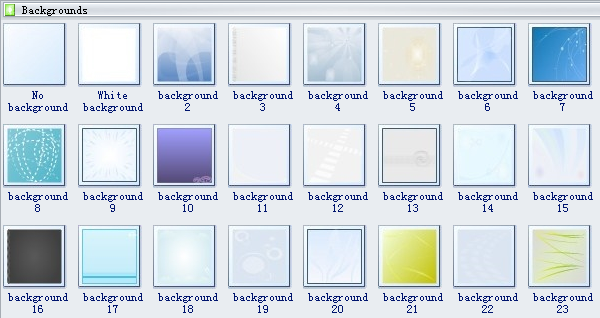 Open the template of Status Table in Project Management group under File menu to apply these shapes. Use the green selection handle to resize shapes. Click the floating action button to change shapes more flexibly. The Priority shape includes 6 degrees. The floating button helps you change priority degree anytime you want, without redrawing. See how you can change Process Status below. Need fresh looking status table symbols for your design? These status table symbols are a cinch to pop in. And their crisp, fine detail will make spectacular, easy-to-understand diagrams and presentations to your customers. Read How to Create Status Table for more information.